Is third party insurance right for me ? Car insurance is expensive, but it’s also a necessity. If you’ve ever been tempted to cut corners and go without it in a bid to save some cash, think again ! The repercussions of being caught driving a car on a UK road without a third party motor insurance policy will easily outweigh any savings you’ve made. Driving a car without third party motor vehicle insurance is actually illegal, and if you’re caught you’ll be given points on your licence and have to pay a fixed penalty. Your vehicle may even be clamped, seized and disposed of. If you’re on a tight budget, third party insurance for car is the bare minimum level of insurance required by law. It means that compensation will be provided to third parties should you cause damage to their vehicle or property. It also covers any liability for injury to other people, including your passengers. So, if, for example, you drove into the back of someone’s car, damaged the vehicle and knocked over their garden wall in the process, your policy would pay out to cover their costs and meet any compensation payments. You’ll also be covered if you have a caravan or trailer attached to your car and have an accident as a result, or if an accident is caused by any of your passengers. However, the major downside to third party insurance motor insurance is you won’t be covered for any damage to your car or yourself if you are to blame for the accident. If it’s another driver’s fault, though, you would be able to make a claim against their car insurance. Third party vehicle insurance won’t pay out if your car is destroyed in a fire or if it’s stolen. Third party, fire and theft cover, on the other hand, would cover you for this, as would fully comprehensive car insurance. What are the drawbacks to third party motor insurance ? Insurance third party was traditionally favoured by cash strapped motorists as it was the cheapest option. It was particularly popular with young drivers facing hefty four figure premiums for other sorts of cover. But thanks to a rise in popularity, the price of third party insurance has increased and it’s now no longer always the cheapest option. Young drivers are statistically more likely to make a claim on their car insurance than older individuals, so they are more expensive to insure. As a result, insurers charge higher premiums to get the higher costs back. This means that third party motor insurance cover can actually be fairly pricey and, in fact, fully comprehensive car insurance can often be cheaper to buy. Even if comprehensive car insurance does prove to be slightly more expensive, it’s usually better value because it provides additional cover. Should I choose car insurance third party ? 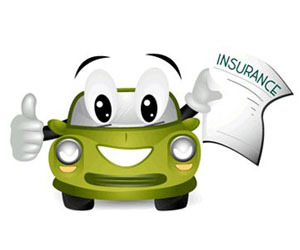 When deciding which level of car insurance to go for, you should use online sites for third party insurance compare cover, third party, fire and theft car insurance cover as well as comprehensive cover to see which suits your needs best and which is the cheapest option. If third party vehicle insurance online cover does work out to be cheaper and your car isn’t worth very much, you may decide it’s the right option for you. How can I get cheaper third party vehicle insurance quotes ? There are numerous ways to keep the cost of third party insurance quote to a minimum, no matter which type of policy you choose. To ensure you get a cheap deal, compare third party car insurance online with the help of free independent comparison service. You will be able to compare third party quotes for comprehensive insurance, fire and theft and third party cover to help you choose the right level of cover for you at the best price. Make sure you do this every time your motor insurance is up for renewal. Don’t simply accept the renewal quote from your current insurer. The best deals are usually offered to new customers, not existing ones, and it won’t pay to be loyal. How much you pay for your third party vehicle insurance will partly depend on which group your car falls into. There are 50 car insurance groups in total. Vehicles in the highest car insurance group will cost the most to insure, while those in the lowest group will be the cheapest to insure. A porsche, for example, will cost a lot more to insure than a vauxhall because a driver of a porsche is statistically more likely to make a claim on their insurance than a driver of a vauxhall. Before buying your car, it’s therefore a good idea to check which group your car falls into so you won’t be in for a nasty shock when it comes to paying for your insurance. You can also keep costs down by improving the security on your car. Fitting items such an alarm or immobiliser will make it less likely to be stolen and will therefore reduce your motor insurance premiums. Parking your car in a locked garage also reduces the statistical likelihood of theft as well as vandalism and again, will lower your insurance costs. If you don’t have a garage, but you have a driveway, park it there rather than on the road. While adding items that boost the security of your car help to lower premiums, be wary of modifying your car in other ways. Adding alloy wheels, bucket seats and a roof spoiler can result in you being offered more expensive car insurance quotes. Insurers are more wary of modified cars because they pose a higher risk. If you modify your car too much, you may struggle to get insurance at all. Keeping the mileage down on your car will also help you to get a cheaper insurance quote. The less you drive your car, the less likely you are to make a claim. Therefore you should pay less for your insurance. Talk to your insurer about a lower mileage limit if you don’t use your car regularly or only use it for short journeys. If you make a car insurance claim, there will be a compulsory excess to pay. On top of this, you can choose to pay a voluntary excess which will help to bring down the cost of your insurance because the insurer pays less towards the claim. When applying for your motor insurance, you can set the voluntary excess at a level you’re happy with. If you choose a higher excess, your premiums will be lower. But remember, you’ll have to pay the voluntary excess on top of the compulsory excess, so avoid setting your voluntary excess too high in case you can’t afford to pay it.